Fun Fact Friday - What can we learn from a whale's ear wax? Start Hearing – Blog Fun Fact Friday - What can we learn about a whale from its ear wax? 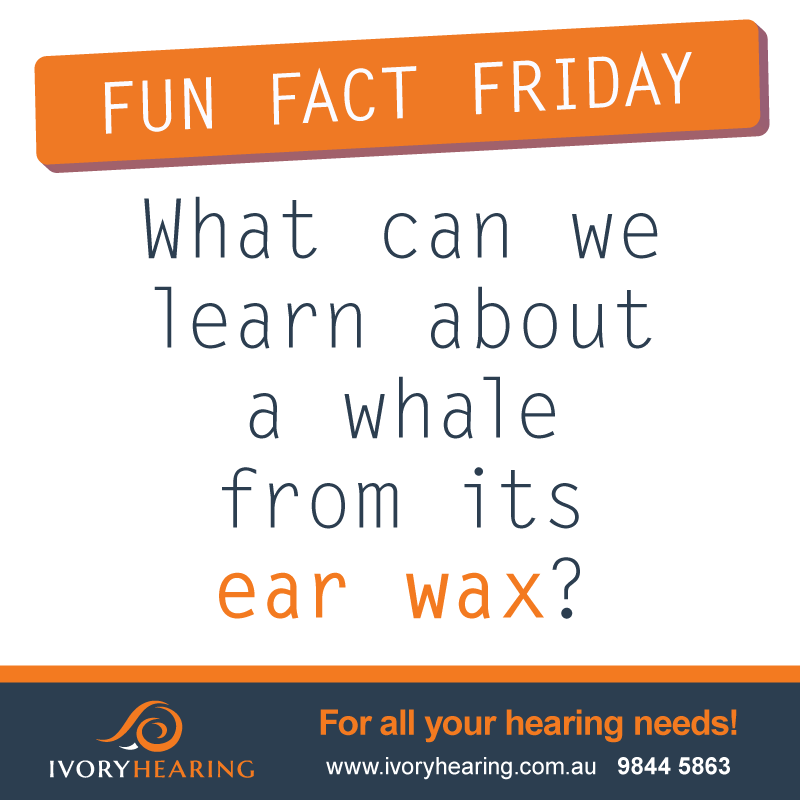 Fun Fact Friday – What can we learn about a whale from its ear wax? Whales have a constant build-up of ear wax in their inner ear (called “earplug”) which increases with time because they can’t clean their ears like we do. Researchers have found out that a new layer or “lamina,” is deposited every six months, allowing them to determine the age of those whales. The laminae have regular colour differences due to annual feeding and migration patterns. When cut in half, the age can be measured easily by calculating the number of rings, similar to the rings of a tree. Apart from that, the earplug can tell us much more about whales’ lives than just how old they are. It is like a diary with a record of how the giant marine mammal lived and what chemicals and pollutants it was exposed to. Therefore, it can potentially give humans an idea of their impact on wildlife and the environment. For more fun facts about hearing, ears and sound, check out the “Fun Fact” page.